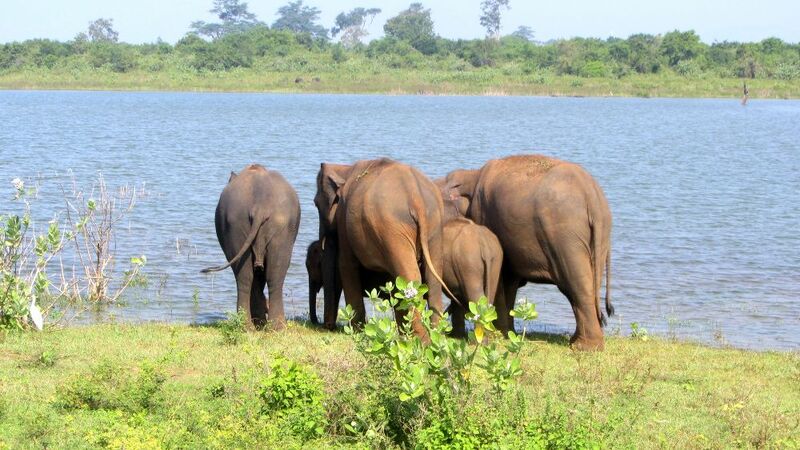 Why to go to Sri Lanka? 1. Points of Interest - a lot of natural and cultural sights can be seen in a relatively small area. National Parks with wild elephants, buffaloes and other exotic animals, migratory whale watching, beautiful tea plantations, historic cities of Anuradhapura, Pollonaruwa, Galle, lion rock Sigiriya, rock temples in Dambulla, rainforests and endless beautiful beaches . 2. Location - Sri Lanka is the closest exotic country of Asia. From the Czech Republic it is 1 000 km closer than to Bangkok, 2 000 km than to Singapore, 3 000 km than to Bali, Indonesia. 3. Prices - prices in Sri Lanka are lower than in the Czech Republic, except for alcohol and cigarettes. The countries of Western Europe and Croatia are downright cheap. You do not have to limit yourself and you will not spend even half of what you would spend in the above countries. Cigarettes can be bought very cheaply at Dubai Airport (200 cigarettes per person can be imported duty free in Sri Lanka). 4. Security - Sri Lanka is a very safe country. Street and violent crime hardly exists, there is no threat of terrorist attacks. Clothing - in Sri Lanka you can do with T-shirts and shorts, ladies with summer dresses and skirts. The most practical shoes are simple sandals, flip flops, and so on. sneakers. You will not use outdoor shoes here. Even women's boats have no practical use here. There are no promenades, cafes, aisles. There is hardly any nightlife outside the resort. When visiting temples and sacred places, it is required that the shoulders and knees be covered. Health Situation - Sri Lanka is a safe country for tropical diseases. Malaria has not been present here for more than 20 years. Dengue fever has been growing lately, but tourist areas are hardly concerned. It occurs mainly in locations in the north of the country, especially where stagnant polluted water is held. Vaccination - No vaccination is required in Sri Lanka. Only vaccination against yellowing type A and B and typhoid fever is recommended. Medicines - The local numerous pharmacies are supplied with medicines from all the world's brands. Everything is available without prescription, including antibiotics. Hospital care is very good for Asian conditions. Sunbathing - In Sri Lanka, the sun is quite aggressive, and creams with a degree of UV protection greater than 30 SPF are recommended. Even if the skin is burned, a very effective cream for burning under the name Aloe 94% is sold in local shops. Money - Sri Lanka is paid exclusively by Sri Lankan Rupees (LKR). Exchange offices and banks can change EURO and USD without any problems. ATMs are numerically represented. Czech crowns can also be exchanged at Ladja Beach Resort. Bargaining - in markets, taxis, tuk-tuks and in some souvenir or clothing stores, you can bargain. In the grocery stores, shopping malls, restaurants, public transport, it is not neglected. Prices from the manufacturer are printed on packaged foods. Language - The official languages in Sri Lanka are Sinhala, Tamil and English, which you can easily communicate in tourist areas. Making a phone call - after arriving in Sri Lanka you can get a local SIM card for CZK 60, which costs CZK 5 per minute for the Czech Republic, 1 SMS costs CZK 1. Water - tap water is drinkable but too chlorinated for Europeans - bottled water is available everywhere. Drinking powders or brushing your teeth is no problem. Electrical network - There is a voltage of 220 V in the mains and no adapters are required. In addition, the outlets here have only a child lock, which can be unlocked with a pencil. Alcoholic beverages - in addition to tourist resorts and objects, alcoholic beverages can be purchased in the so-called wine-shops, which are open from 9.00 to 20.30. The level of local pubs or restaurants is very low. Sri Lankan beer Lion Lager is very tasty for Czech connoisseurs as well. Sri Lanka's coastline is divided into three areas - Western, Eastern and Southern. The Western is concentrated around the capital Colombo. However, the sea is not crystal clear and basically the whole area is in development as far as tourist infrastructure is concerned. The eastern beaches have a clean sea, but the dry season is here from May to October, in months when Europe is warm and therefore primarily intended for local clients. The most convenient is the south coast, where you can stay all year. The problem of seaside tourism in Sri Lanka is high waves, which occur practically all over the coast and entry into the sea is very difficult, often impossible. Ladja Beach Resort is located on the beach, where about 600 meters from the resort there are two rock formations in the sea that break the waves to create ocean-wide pools without high waves, allowing visitors to swim safely. Sri Lanka is currently only accessible by air. Shipping to India is not currently in service. There is no direct air link between the Czech Republic and Sri Lanka. The shortest connection with Emirates is a stopover in Dubai. The journey with the transfer takes about 12 hours. Similar flights are with Fly Dubai. It takes about 15 hours with Turkish Airlines. In Sri Lanka there are 2 international airports - in Colombo and Hambantota. Hambantot Airport is completely new and modern, but is currently out of order for airlines not to be involved. A new highway to Matara leads from Kolombia airport, next year to Hambantota. Currently, the journey from Colombo Airport to Ambalantot takes 3.5 hours, it will take 2 hours to open the rest of the highway. Although it seems like a long time, the journey will pass very quickly because it leads through a beautiful exotic landscape. 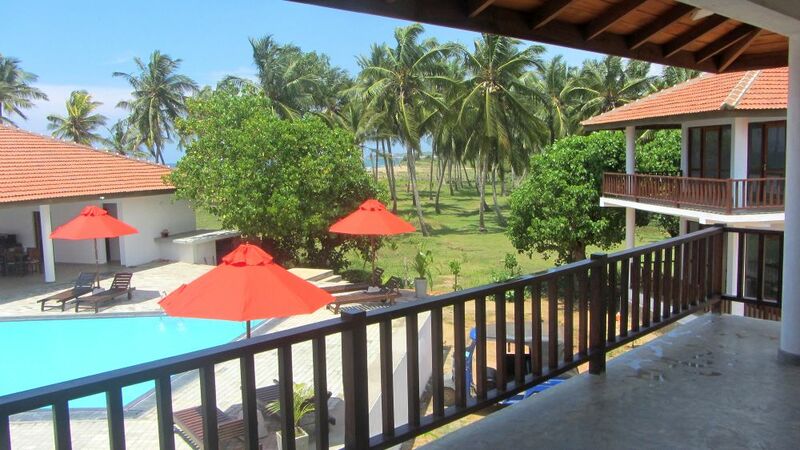 In Sri Lanka you will feel that you are still in the zoological or botanical gardens. Lots of Central European unknown tropical trees, shrubs or flowers create infinitely green areas. And every moment a representative of exotic fauna enters into it.